← Are Hearts and Roses Tacky? I recently volunteered to post a review of The Secret Life of Emily Dickinson as part of the author’s blog tour. Sometimes when you agree to review a book, you have second thoughts once you start reading it if you can’t find anything positive to say about it. But I didn’t have that problem with this book. I enjoyed it so much that reviewing it hasn’t been a chore at all. Jerome Charyn’s The Secret Life of Emily Dickinson is an unusual novel that I won’t forget quickly. A very clear image of its main character was still roaming around in my mind several days after I read the last page. The novel reads like a memoir and it’s easy to forget that it is fiction; readers finish the book feeling like they have met the real Emily Dickinson not the person Charyn imagines her to be. This fictional work loosely follows the known course of the poet’s life and presents it from her perspective. Charyn has taken hinted references in Dickinson’s poetry and used them to create the thoughts, feelings and desires of his fictional Emily. The real poet was considered mysterious while she was alive and it is now impossible to answer many questions about her. This book offers a window into what might have been going on in her mind and creates a memorable main character in the process. The novel begins in 1848 at Mount Holyoke Female Seminary which Dickinson attended briefly in her late teens. Like the real person, the fictional Emily rebels against the strict evangelical ethos. During her early adulthood, after she returns to her family home, we see the fictional Emily enjoying small town life in a world which revolves around her domineering father and her close knit family. Through the years she gradually withdraws from local society and confines herself to the family home. Her animated inner life always finds expression in her poetry. Appropriately, the novel closes with the fictional Emily’s last thoughts, relinquishing her cares and pre-occupations as death sweeps her away. Charyn has created a very well-drawn main character and writes convincingly from her point of view. Readers hear the fictional Emily’s innermost thoughts and feelings and will believe they have entered the real poet’s inner world. To make the character believable he writes in a similar style to Dickinson, using creative metaphors and vivid descriptions, rather than quoting her own words. The character’s voice is often fanciful, seductive and even wheedling – a childlike person with barely contained exuberance. The fictional Emily is a very engaging person – easy to like and someone you want to protect. She’s imaginative, eccentric and impulsive with a strong personality beneath her coquettish manner. While the historical fiction lover in me wants to constantly sort out which episodes in the book are based on fact and which are imagined, in the end, it doesn’t matter. 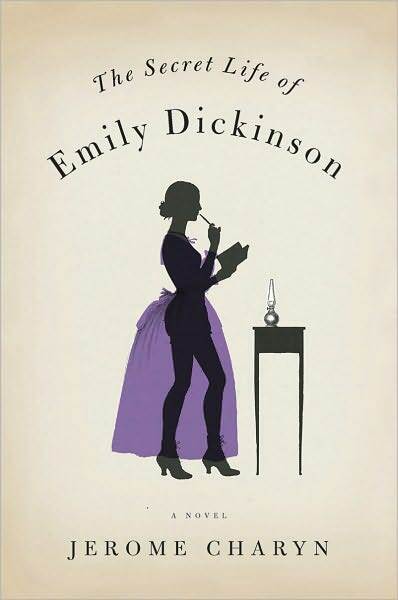 This portrayal of who Emily Dickinson may have been will arouse curiosity and interest about the real poet and her work – and it’s just an entertaining book to read. The abiding impression I had after I finished it was of the fictional Emily. Her voice is so convincing that I still hear her in my head. The character came to life for me and I think that is the mark of a good novel. Click here for details about the book. The author: Jerome Charyn (born May 13, 1937) is an award-winning American author. With nearly 50 published works, Charyn has earned a long-standing reputation as an inventive and prolific chronicler of real and imagined American life. In addition to his writing and teaching, Charyn is a tournament table tennis player, once ranked in the top 10 percent of players in France. Noted novelist Don DeLillo called Charyn’s book on table tennis, Sizzling Chops & Devilish Spins, “The Sun Also Rises of ping-pong.” He lives in Paris and New York City. 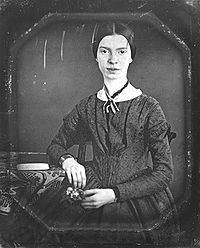 This entry was posted in February 2011, Uncategorized and tagged American poets, Emily Dickinson, historical fiction, Jerome Charyn, poets, Secret Life of Emily Dickinson. Bookmark the permalink. I so agree. I loved reading this one too. She was so alive inside of me. 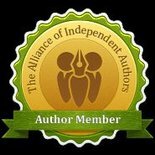 Dianne – I love reading reviews where you can tell the reviewer is well-crafted in the art of reading and demonstrates a deep appreciation for books and the written word. Bravo on this one – job well done! Thanks Dianne for participating and hosting a stop on the tour! The historical fiction lover in me enjoyed this review and so did the romance lover and the Emily Dickinson lover in me. We all thank you for your thoughtful reading of this bold novel. It’s not an easy read – so thankful you were the one turning the pages. We, on Emily’s page won’t forget you either. We’ll be watching your future reviews. Pingback: Jump Into Johnny One-Eye « Ascroft, eh?